We are a family of traveling circus performers. OK, not really. But we do quite a bit of traveling all year round. Now, with my new passion for blogging as a business, I’m finding myself traveling non-stop. Add in our trips to see the in-laws every couple of months, and our quick trips into NYC whenever we can, the whole family has the opportunity to get sick. A few years ago I created this weird, but awesome, concoction. 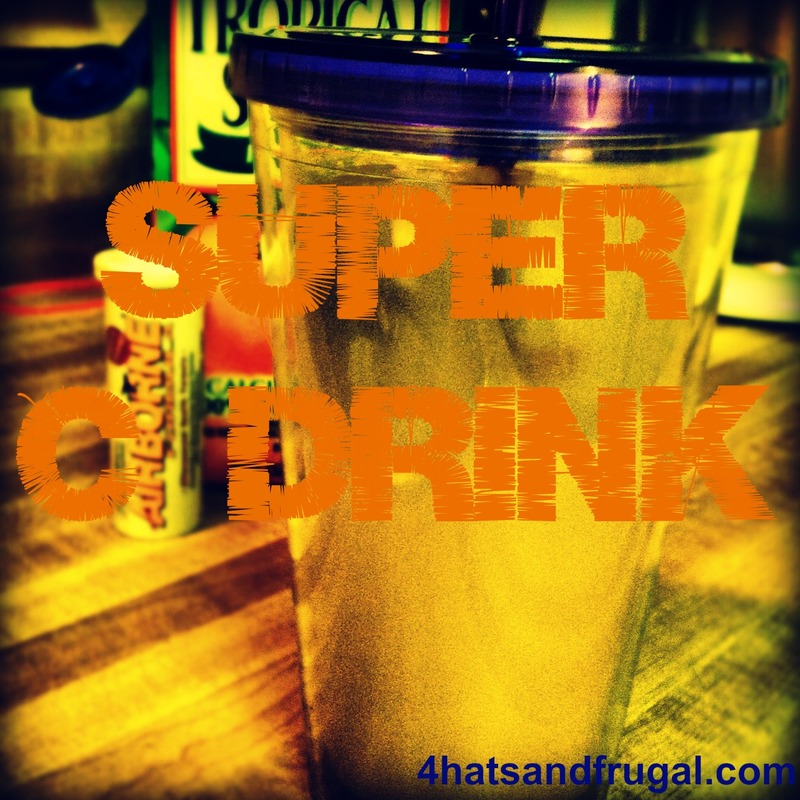 This Super C drink is chock full of vitamin C, and it uses items that are right in your fridge and medicine cabinet. What do you need? That’s it! Want to know how to make it? Check out the video below. The super C drink is such a great drink to have when traveling for business or even for the upcoming holidays. Vitamin C for the win!